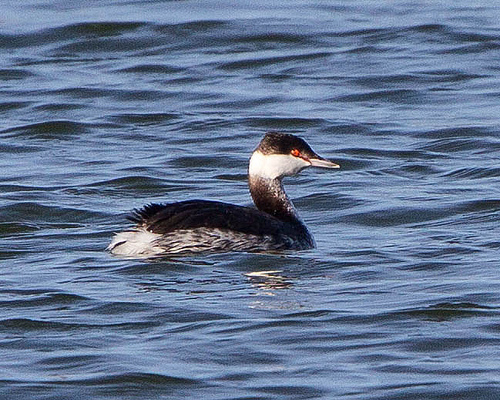 The Horned Grebe, also called the Slavonian Grebe, is a rare grebe in western Europe. Only in autumn and winter it is sometimes seen. 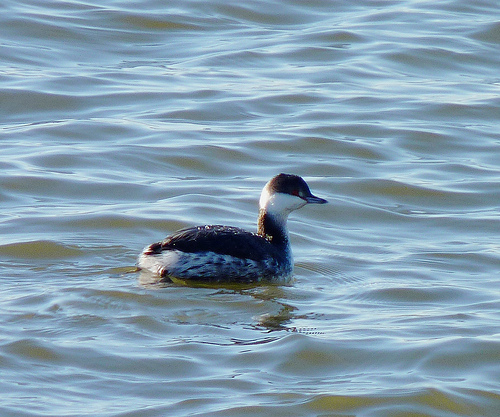 The Horned Grebe has a straight beak, the beak of the Black-necked Grebe is slightly upward-tilted.